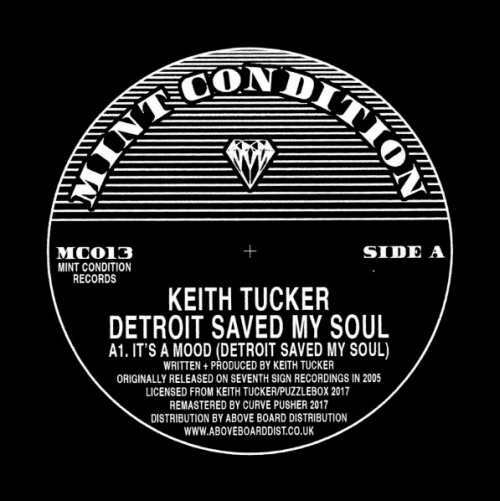 In a three-tracker that originally appeared on the Glasgow label Seventh Sign Recordings in 2005, Keith Tucker of Aux 88 and Optic Nerve fame opens with a solid techno narrative “It’s A Mood (Detroit Saved My Soul)” that has anthem features like The Vision’s soon-to-be reissued Metroplex classic “Spectral Nomad”. 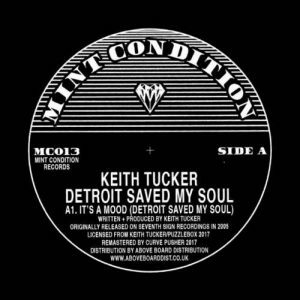 The B-side is a showcase of Tucker’s extraordinary electro skills with stripped sci-fi floaters “Elektronik” and “My Mental State”, the vocals in the latter recalling the classic “My A.U.X. Mind”. Weary sound quality that can be felt also in the other Mint Condition release spoils the experience a bit. Mint Condition, that retrieved also Blake Baxter’s KMS classic “When We Used To Play”, has picked three tracks from his 1991 EP “Prince Of Techno” and presents several interpretations not heard on the Underground Resistance original. Mastered from tapes, “When A Thought Becomes You” sounds now even more unpolished with Baxter’s suggestive narration that turns ecstatic in acid-dipped “Combustible (Four Track Remix)”. An unreleased remix edit of “Funky World” rounds it up with a special form of D-funk. 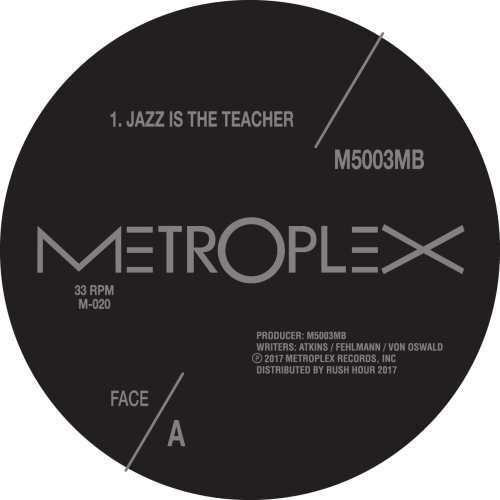 We have another outstanding piece in the Metroplex reissues campaign: A dream collaboration of Juan Atkins with 3MB (Moritz von Oswald and Thomas Fehlmann) that started with a Tresor album in 1992 and later went on with a Metroplex release. Tunes through a futuristic prism are moving between velvety chords and accentuated bass in “Jazz Is The Teacher”, “Bassmental” and “The Cosmic Courier”, although for the latter my preference goes to Tresor versions “Die kosmischen Kuriere”. For an in-depth view about the release please head to this Pattern Burst post.